Udi’s presentation gave community members a better understanding of the complexities of Israeli elections. Udi explained the various political parties, the election process, and the current issues facing Israelis as they headed to the polls. In particular, attendees learned that 1) Israelis vote for parties, not individuals and that 2) even if one party gets more seats in the general election, they may still not be in a position to form a coalition and lead the government. Attendees found the presentation informative and engaged energetically in the Q&A. 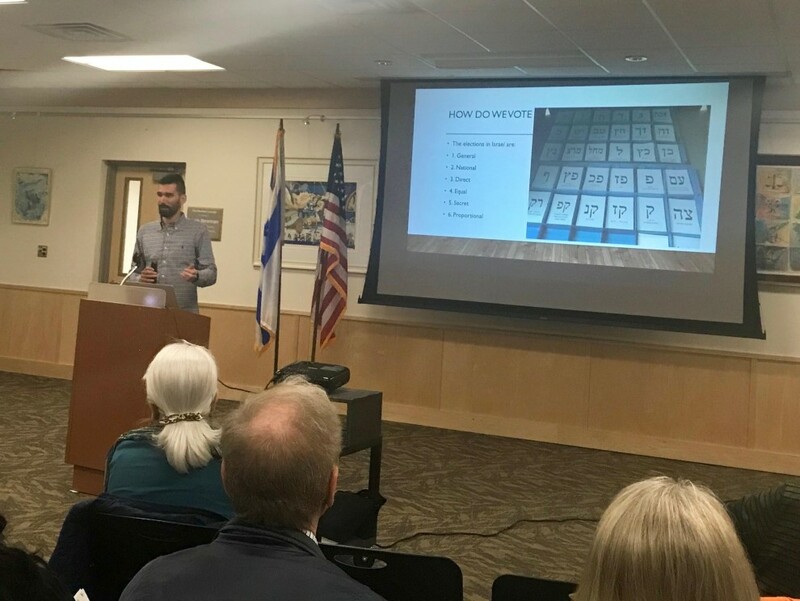 Udi’s visit was part of the Israel at your Doorstep program in which a shaliach (emissary) visits Ann Arbor monthly and brings interesting speakers and artists to engage with the community.